You're not crazy but you are Wild About your children or grandchildren. 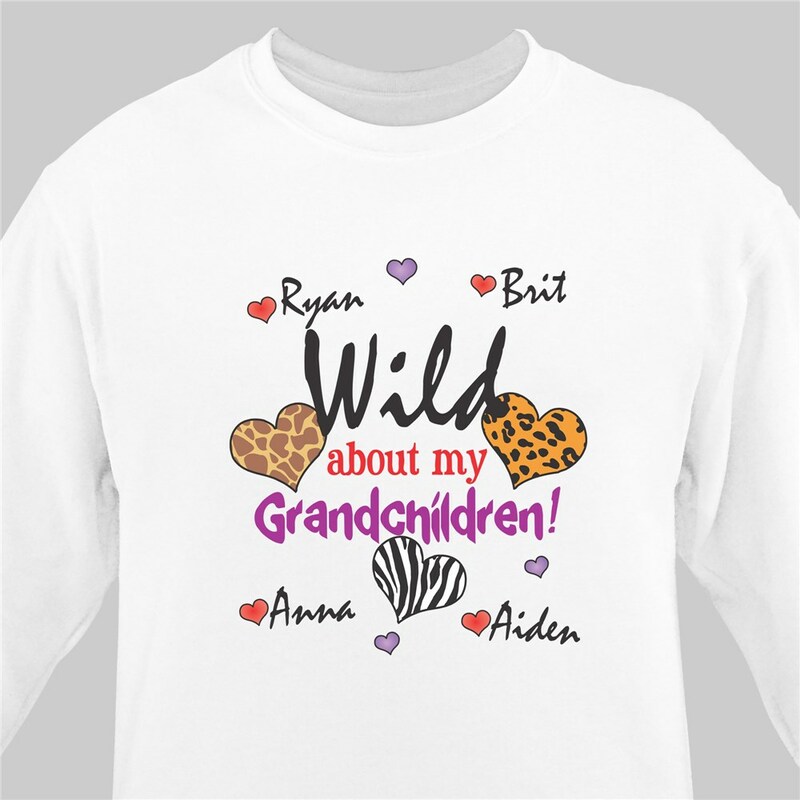 Show them off with our Wild About Personalized Valentine Sweatshirt. A fun, loving sweatshirt Grandma or Mom will love to wear all winter long. Your Personalized Grandma Sweatshirt is available on our premium white cotton/poly blend Sweatshirt, machine washable in adult sizes S-3XL. Includes FREE Personalization! Personalized with any title and up to 30 names. THIS IS SOOOOO CUTE , GRANDMA IS GOING TO LOVE IT !!!!!!! GiftsForYouNow.com is your home for great Valentines Day Gift Ideas. We have a splendid collection of Personalized Romantic Gifts. Choose GiftsForYouNow.com for all of your Valentines Gifts today and save with FREE Personalization and FAST & EASY ordering.